Ready for the Utah powder? 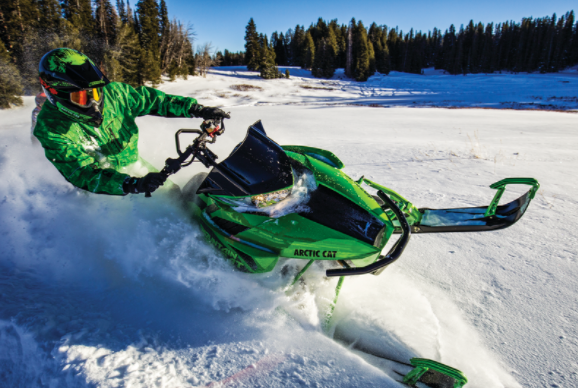 It’s already settling into the backcountry, creating an offroad wonderland for those of us who have been itching to pull the King Cat out of storage for some high-performance action in the Rockies. While the snow and ice can make for a great afternoon on your sled, it can be a little hairy on the main roads when you’re towing a rig to get to the trailhead. Here are some simple winter driving tips for the cold months ahead. Make sure your truck and trailer are good to go. Is everything properly secured? Do all the blinkers and lights work? Are the tires properly inflated and do they have enough tread? All these things can greatly impact your driving performance in the snow. Is there any weight you can shed? Trailers have a hard time slowing down if they are carrying a heavy load. When there is ice and snow on the road, do whatever you can to keep your towing weight at a minimum. It can mean the difference between rear-ending someone or being able to stop smoothly and safely. Go Slow!! When the roads are slick, drive cautiously and don’t make any quick movements. Low visibility and slick roads can get you into trouble fast. Also, make sure you’re following the speed limit. You can crank up the speed once you get your machine revved up. Know how to stop. Finally, make sure to steer in a straight line as much as possible. If you don’t, you could end up jackknifing. Decelerate slowly and give yourself enough space between you and the cars in front of you to slow down. Drive safe out there!